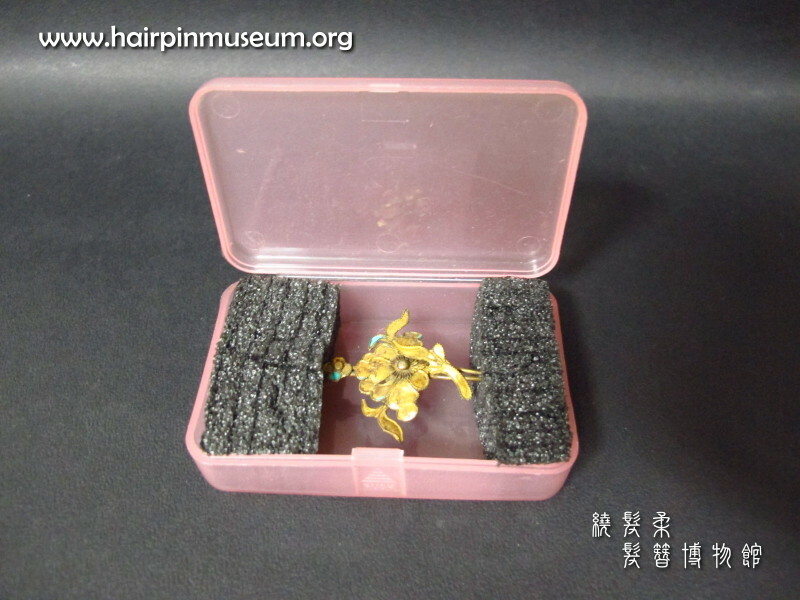 Here is a badly damaged hairpin made of gilt bronze. It has lost most of its kingfisher feather decoration but one of the leaf decorations is also damaged. The thin metal is bent (arrowed) and there is only very a thin piece of metal that still connects it to the main decoration. It is so fragile that the leaf is moving if touched. With the slightest pressure or vibration from outside, the leaf could fall off very easily and possibly be lost. 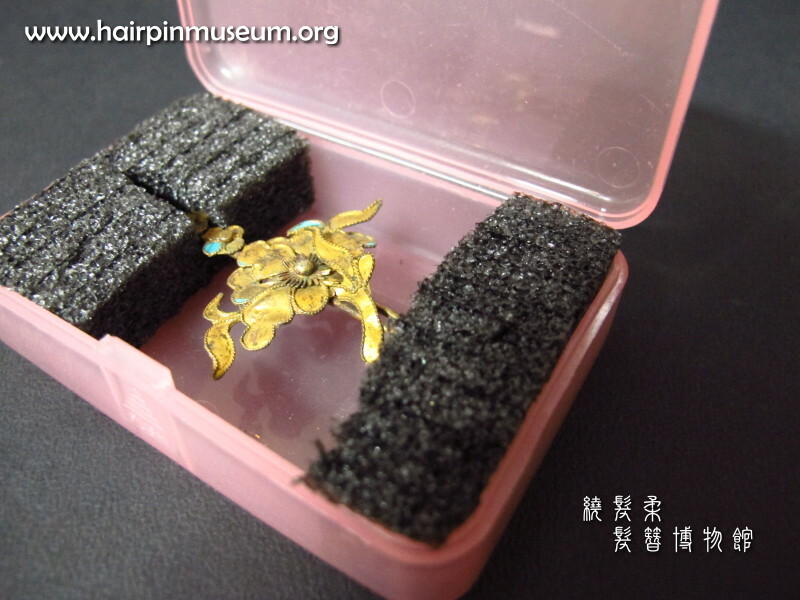 So packing is very important for the hairpin before you can even take this to a conservator for conservation. 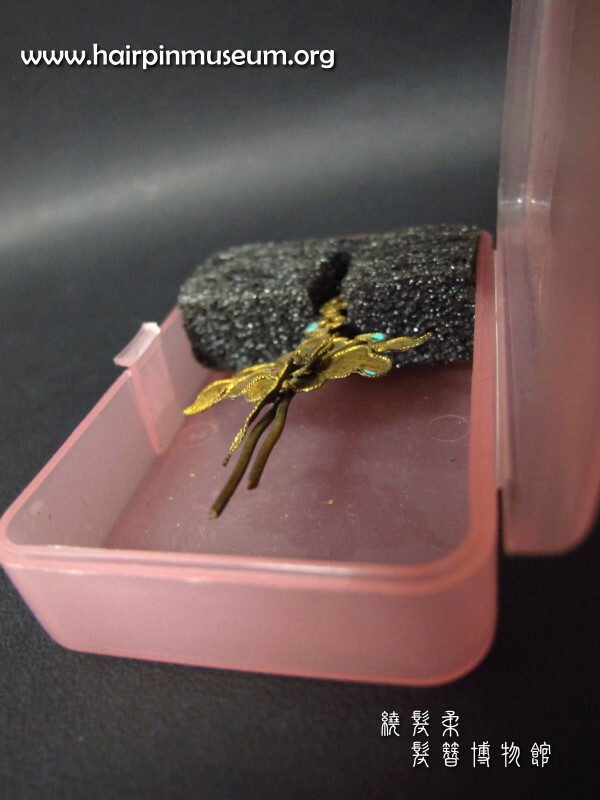 Here is an example of how you can pack it at home to reduce the risk of further damage. 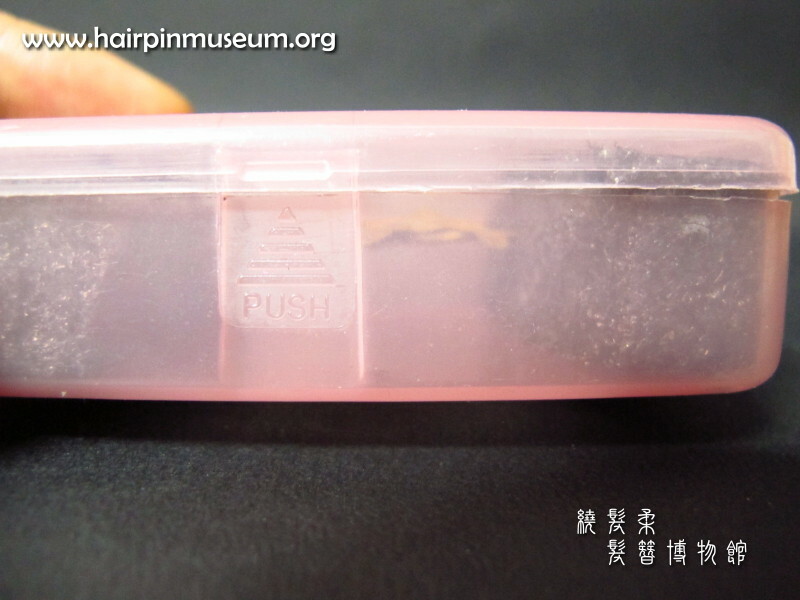 This hairpin is broken where the red arrow indicates. 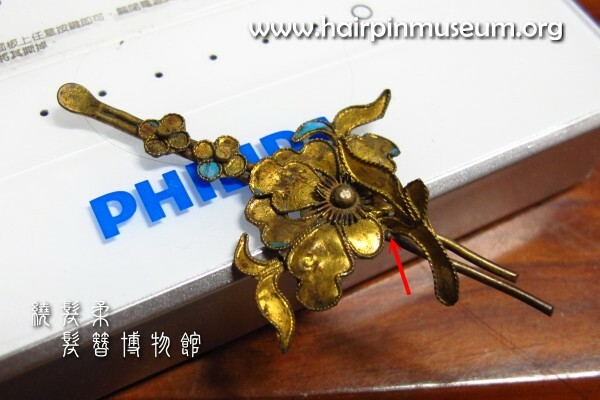 The decorative leaf element is bent and only barely connected to the main hairpin. First, find a box into which the object will fit with plenty of room to spare. 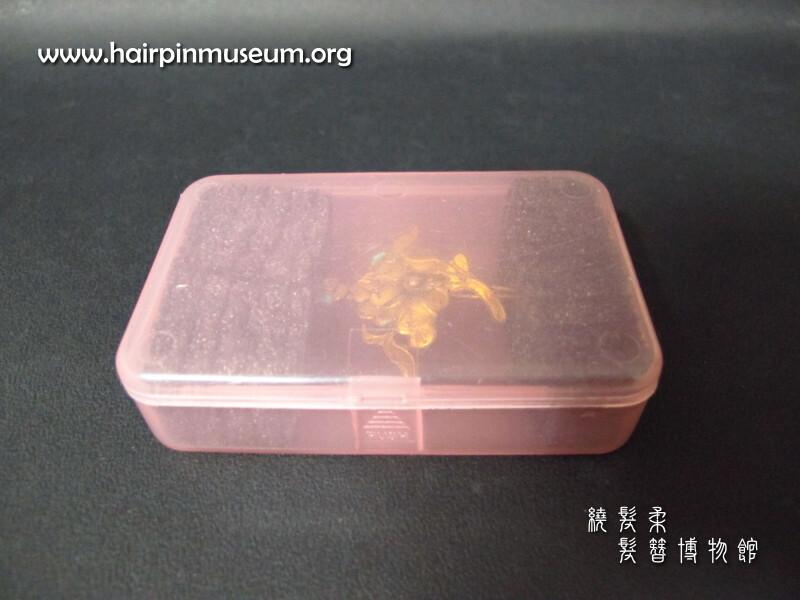 Unless it is only very temporary storage, select a conservation quality plastic box and foam. (If it smells of acid or has a "chemical" smell it is probably not suitable). Measure the size carefully. 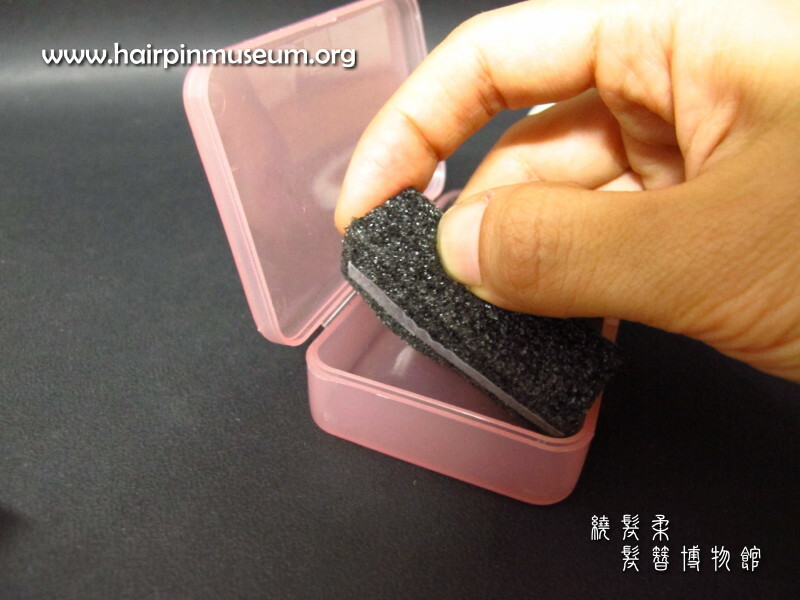 Hold the hairpin very carefully and draw on the foam where it can safely support the object. Cut a "well" or nest in the foam which will fit the hairpin where it should be held. While you do this, you should be very careful to remove the hairpin (do not cut directly around the hairpin - for obvious reasons). Do not throw away the piece you cut out. You will see why later. You can also see very clearly where the hairpin is damaged in this picture. Cut another piece of foam to fit the box and support the other side of the hairpin. Cut out a small "well" in this too. Again, don't throw away the cut piece. We need to put it back later. Put some double-sided tape (conservation grade if possible) on the underside of the foam to fixed it firmly into the box. You can click the images above to get larger a picture. 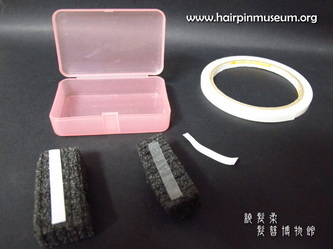 Put the hairpin back with the ends fitting into the prepared "wells", then put back the small pieces of foam that you cut out. 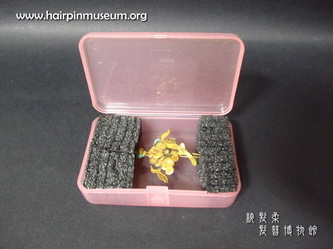 Now the hairpin is supported firmly but gently at each end. 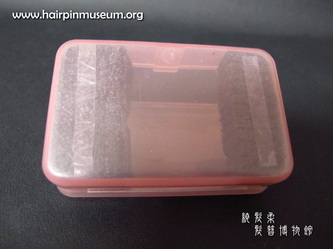 It will stop the hairpin moving in the box and fixed it in the centre of the space. You can click the images above to get larger a picture. Done! The hairpin is suspended in space and well away from anything that van touch the fragile part. 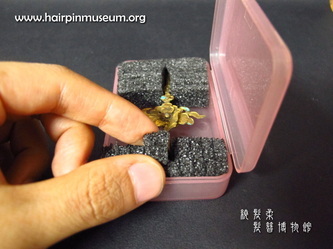 Carry or post the broken hairpin to a professional conservator if it is possible. The broken part is easy to lose if it falls off, but please do not try to glue the piece back yourself - especially with inappropriate (non-professional) glue. You might make things worse and make the conservators job much more difficult. To see a good example of why amateur restoration is a bad idea - please click here. To see how this hairpin was cleaned, conserved and repacked by a professional conservator - please click here.